Anyone can experience the thrill of surfing! It'll be one of the most amazing moments of your entire life! 1 hour surf lessons are available daily, all ages, year round. Ideal for friends and families that want to have fun TOGETHER, its not just for kids!! Our very popular summer day surf camp is designed for beginners of all ages. Most students want to continue surfing after their lesson or another day while you are here. Surfboard rentals are available daily. Gene and Rachel Gore have 23 years of surfing instruction experience, world class ocean lifeguards and a lifetime of pro level dedication to the sport of surfing. "It's not about how good you are, its about how much fun you have!" 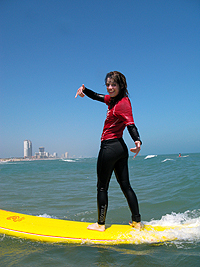 Come learn to surf in 1 easy lesson at South Padre Island Texas. 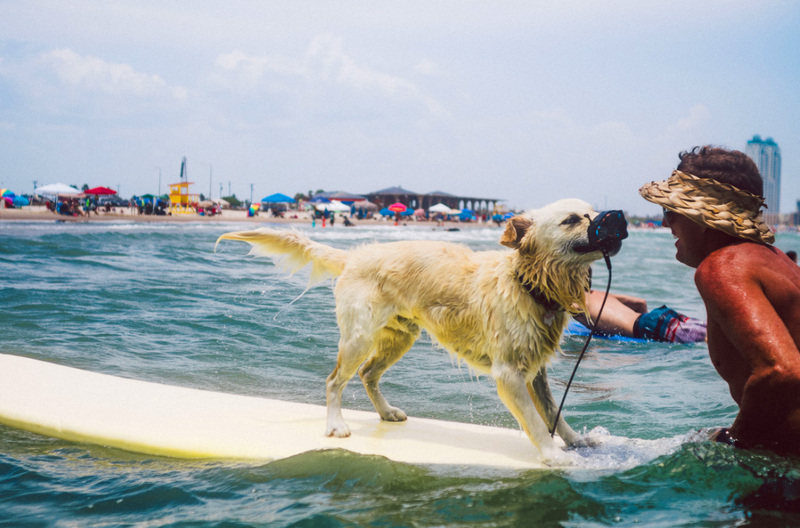 With South Padre Surf Company, anyone can learn to surf! 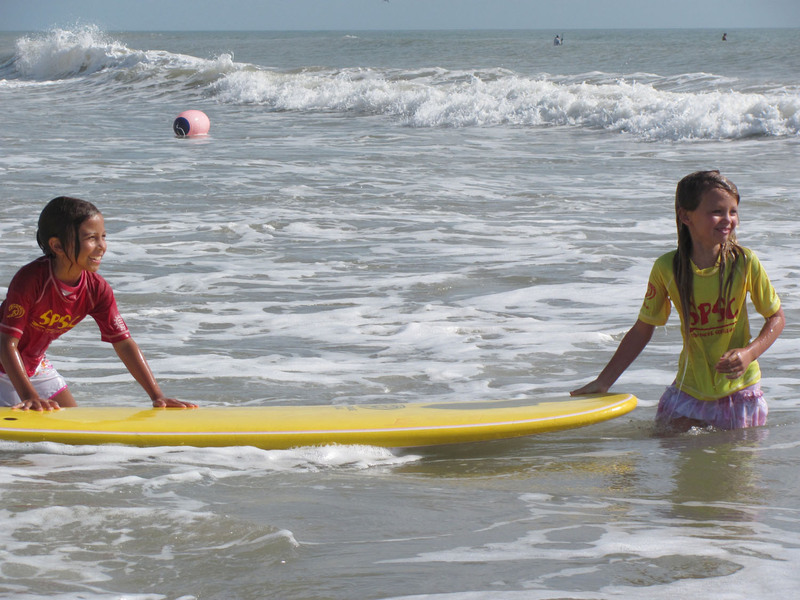 Our surfing lessons and surf camps are fun for ALL AGES!! 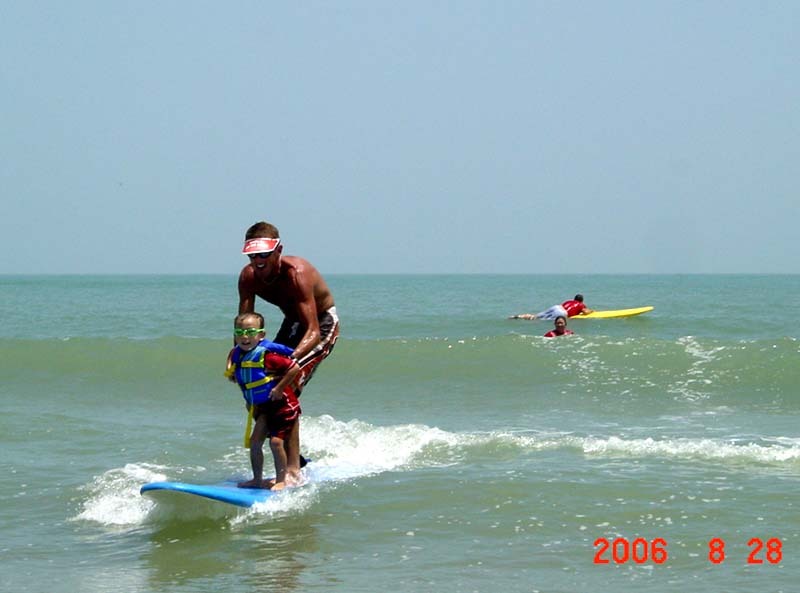 Our family owned and operated surf school caters to all people, regardless of your age, abilities or disabilities. 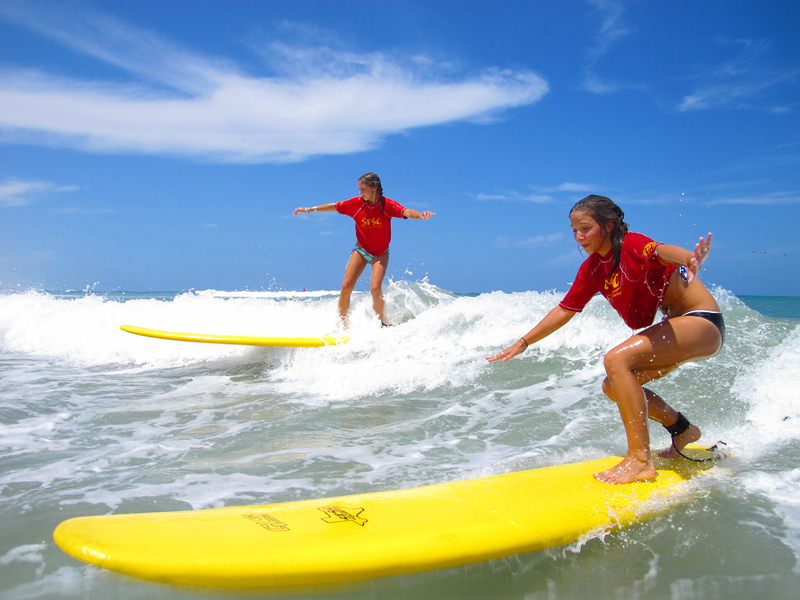 Personal instruction from Texas most experienced and respected ocean lifeguards and surfers for an exciting and unforgettable surfing experience at the best surfing location in the Gulf of Mexico! Surf lessons are held in shallow water, swimming skills NOT required! SURF LESSON PICTURES: We take pictures (by request only) of you or your group for only $10 for all pics! Our one hour surf lessons are available daily year round! Call now or when you arrive. Try one of our very popular day surfing camps! This is a 3 hour surf lesson designed to teach you all of the basics of surfing and ocean safety, and advance you to where you are easily learning to catch your own waves, getting you ready for surfboard rentals, or even better...another surf trip! Spring break, holidays and all summer long! "The Best Beach in Texas with the Best Surf in Texas!" Family Surfing Lesson with us!! This is the whole "Surfin' G" Gore family! Girls tandem surfing lessons at South Padre Island! This Texas-based school is perfect for people who want more than just a quickie lesson but don't necessarily want the full immersion of an overnight camp. Run by husband-and-wife team Gene and Rachel Gore, the three-hour camps are geared toward beginners of all ages, from as young as 3 years old all the way up to grandparents who want bragging rights at the next family reuinion. 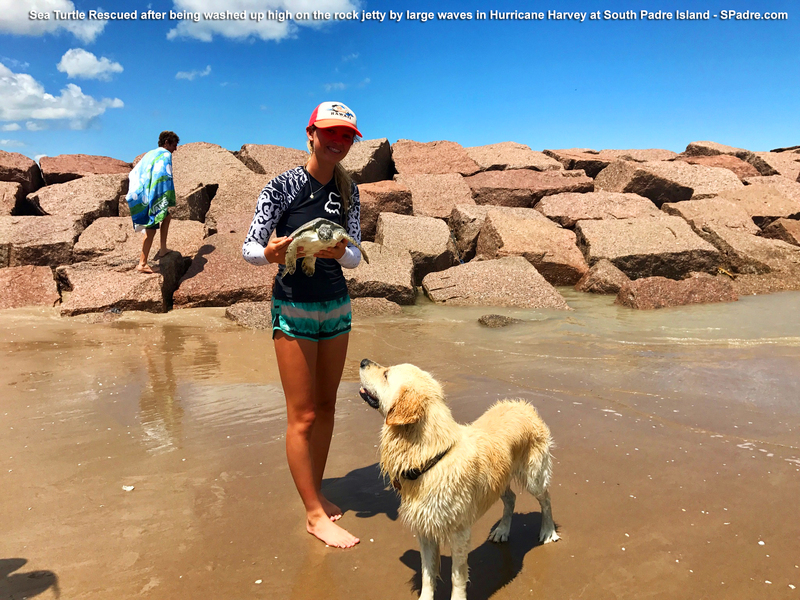 Home turf is South Padre Island at Isla Blanca Beach Park, which is known for its easy beginner waves and its sandy bottom --a much more forgiving surface than reefs when it comes to wipeouts. The boards are perfect for beginners, too, with their easy-to-stand-on soft foam tops and soft fins, which are much less dangerous than hard fins if they happen to hit you in the water. The Gore's pack an impressive amount of information into the morning, including water safety, how to paddle, surf etqiuette, how to read the waves, and of course how to surf. Their kids Micah and Melia--both ridiculously good surfers themselves--are often on hand to help out. 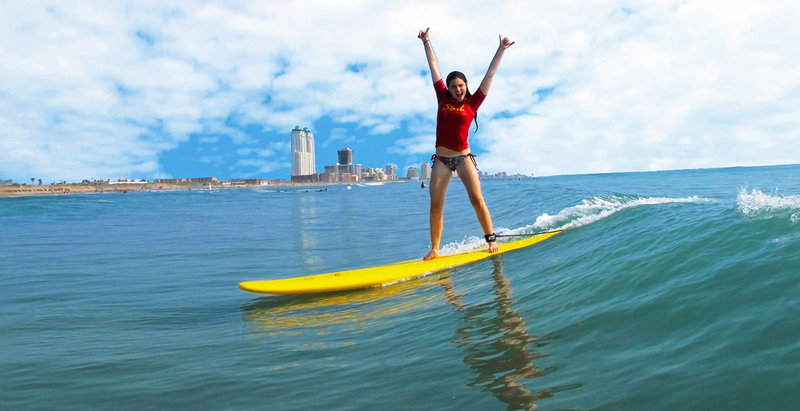 Surfing Lessons and Surf Camps held year-round at South Padre Island Texas! "It's not about how good you are, its about how much fun you have!" 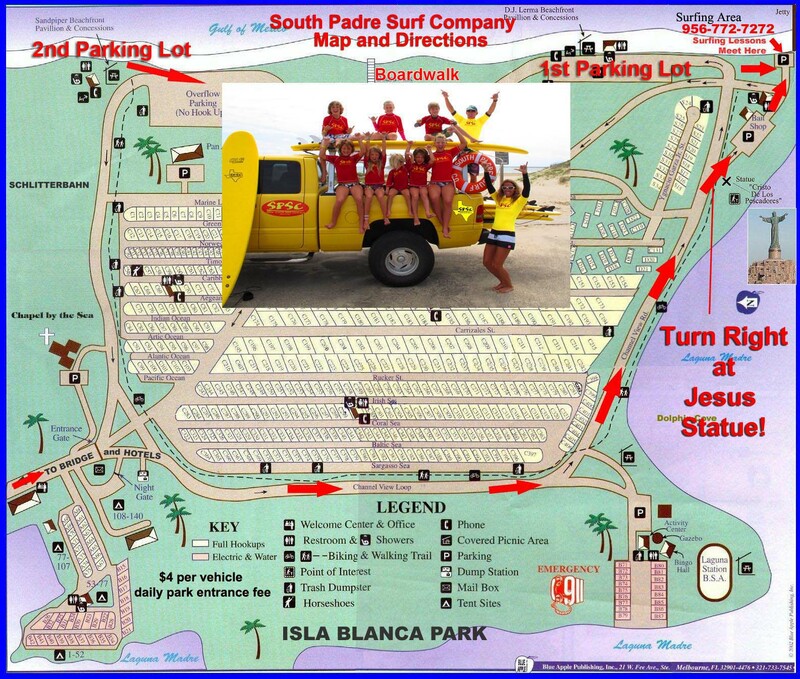 Come learn to surf with the Gore Family at South Padre Island Texas! 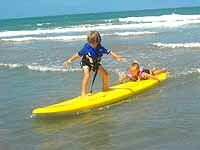 with South Padre Surf Company, anyone can learn! Our one hour surf lessons are available daily year round! Reservations must be made at least 24 hours ahead of time. Surf Lessons held Daily Year-Round! LEARN TO SURF in 2016! Register now by email or call/text 956-772-7272 It's fun for all ages!! Lessons include use of surfboards, wetsuits, surfing paddling and water safety instruction, pictures, and memories to last a lifetime! Join us for an exciting and unforgettable surfing experience at the best surfing location in the Gulf of Mexico! Join us for our very popular day surf camps. Mondays, Tuesdays, Fridays, and Saturdays all summer long. 3 hours of surf and fun! We take pictures of you during each of our surf lessons. 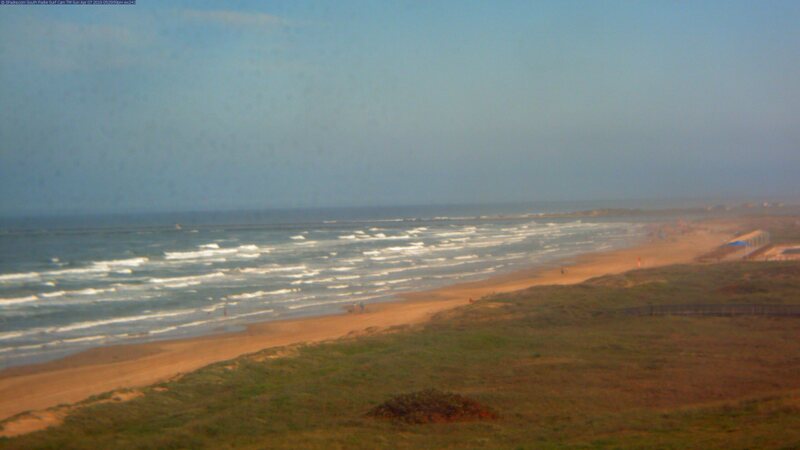 that you REALLY did surf in South Padre Island Texas! The only web cam that sees it all! Enjoy 360 degree views of popular areas on SPI with the streaming pan/tilt/zoom camera. With user controls to view the beach, surfing area, jetties, Boca Chica, Dolphin Cove, Queen Isabella Causeway, Port Isabel Lighthouse, the Laguna Madre, Sunrise and Sunsets over the Bay and Gulf, even 24 hour night views of South Padre Island and local surf conditions. 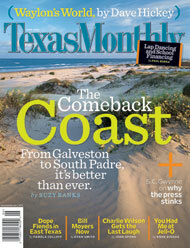 ~ BIG CHANGES COMING TO ISLA BLANCA BEACH PARK!! SpaceX launches from Boca Chica beginning in late 2016, with Isla Blanca (our surfing area) being the prime viewing area. Cameron County is developing plans to build many new projects and facilities. Make plans to come see the rocket launches and go surfing while you are here! We will post the SpaceX Launch Schedule as soon as it becomes available. ~ SPRING BREAK 2016 SURF LESSONS - ask about group discounts, bring your friends! 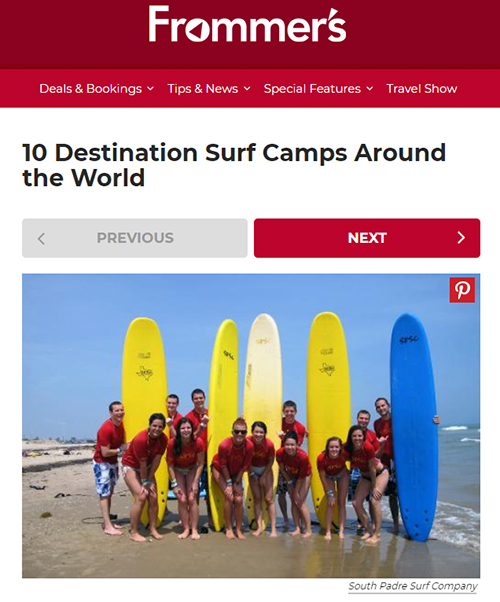 ~ SOUTH PADRE SURF COMPANY FEATURED ON FROMMERS.COM as one of the top 10 destination surf camps in the world! ~ BIG NEWS!! The United States Coast Guard Sector Corpus Christi Commander John Pasch honored Gene at Corpus Christi Naval Air Station with a Certificate of Appreciation for a lifetime of public service dedicated to ocean safety, along with the coveted Sector Coin for extraordinary service! We are humbled and honored beyond words!! ~ SUMMER SURF CAMPS 2016 Registration now open by email or call 956-772-7272. We are looking forward to some WARM FUN SURF IN THE SUMMER!!! 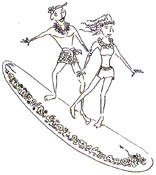 ~ SURFING LESSONS are held daily year-round by reservation. 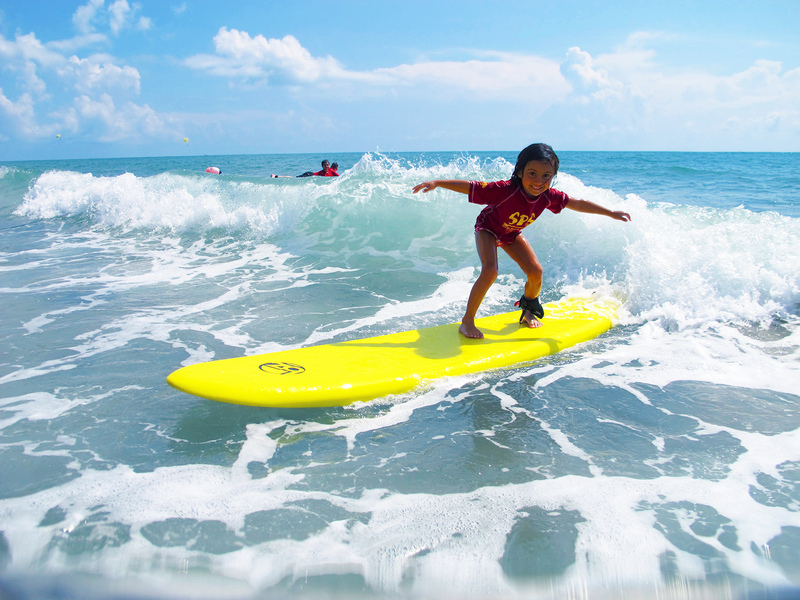 Surfing lessons for kids, children and adults of all ages! The best family activity! ~ SURFBOARD RENTALS are available at a discounted rate for students after your lesson. ~ GET YOUR SURFING PICTURES here. Download images or puchase prints, tshirts or other products online. Put'em on your Facebook! Gene and Rachel Surfing at Matagorda Texas! ~ 8 YEAR OLD LAUREN FROM SAN ANTONIO - Mom says: "Thank you soooo much for the wonderful experience. I am so happy Lauren got to experience what i did when i first learned how to surf back in the day. (East Coaster here) She can now fully appreciate the force of mother nature as well as the joy and beauty it can also provide. You are truly blessed individuals to have such a wonderful "office" to go to everyday. Melia and Micah are such sweet kids and were so helpful to her. I will definitely recommend your company and wish i lived closer so she could surf more. She got the bug...LOL"
~ Come learn to surf in the BEST SURF IN TEXAS at the BEST BEACH IN TEXAS - South Padre Island ! . ~ MOMS and CHILDREN, don't wait around all day while dad takes kiteboarding lessons, SUP lessons, windsurfing lessons or goes fishing, come surfing with us! ~ Our precious 7 year old Melia's recent California trip included ROXY fashion, runway and catalog shoots, a coldwater surf at Huntington Pier, snowboarding at Mammoth with the Roxy crew and a hula performance at the new Quiksilver flagship store at Mammoth Mountain. Click for more on Roxy's blog! Check out these pics of 9 year old Micah's first time snowboarding too! 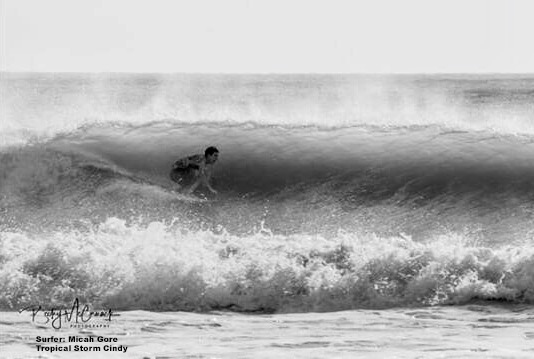 ~ Hurricane Ida brings the biggest surf of the year to the Texas coast, click here for a Surfline Feature with a couple of Gene's photos. 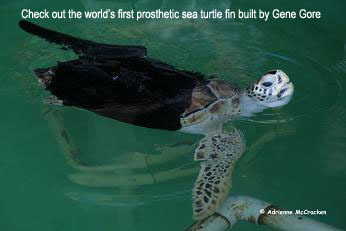 * Gene has made custom surfboards his whole life, and recently built the world's first successful prosthetic turtle fin for an injured sea turtle! 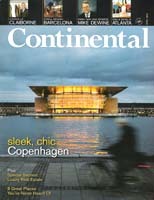 Read about it and see pictures in the current issue of People Magazine. 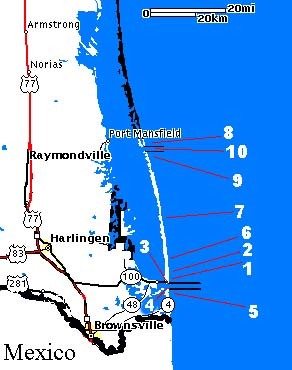 * Gene has been working with the National Weather Service in developing a new program called the "Surf Zone Forecast" with daily beach and surf conditions along with safety concerns such as rip currents. Using Gene's extensive knowledge and experience with beach and surf conditions, this program is setting a national standard for public beach safety and information. 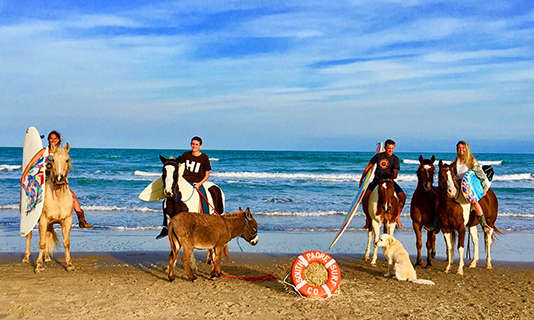 * After many years of efforts by Gene and Rachel to educate both the public and City officials on ocean safety, the South Padre Island Beach Patrol was finally formed, under the command of our new and pro-active fire chief Burney Baskett. Gene trained the first group of recruits, including Coast Guard personnel in surf rescue techniques including jet-ski rescue, surfboard rescue and more. ~ Our little girl Melia surfing and modeling in Hawaii with the Roxy team. ~ Check out this picture of surfers and dolphins enjoying the giant hurricane surf from hurricane Gustav. 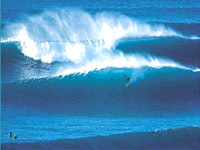 ~ Surfing - an interactive eco-tour you'll never forget! Up close and personal zero impact nature experience. Click here for surfing dolphin pics!. ~ Make plans to surf , let us help with your family vacation to South Padre Island Texas, we're happy to answer your questions. ~ Bachelor parties or bachelorette parties, sports teams or friends, discount group rates apply! 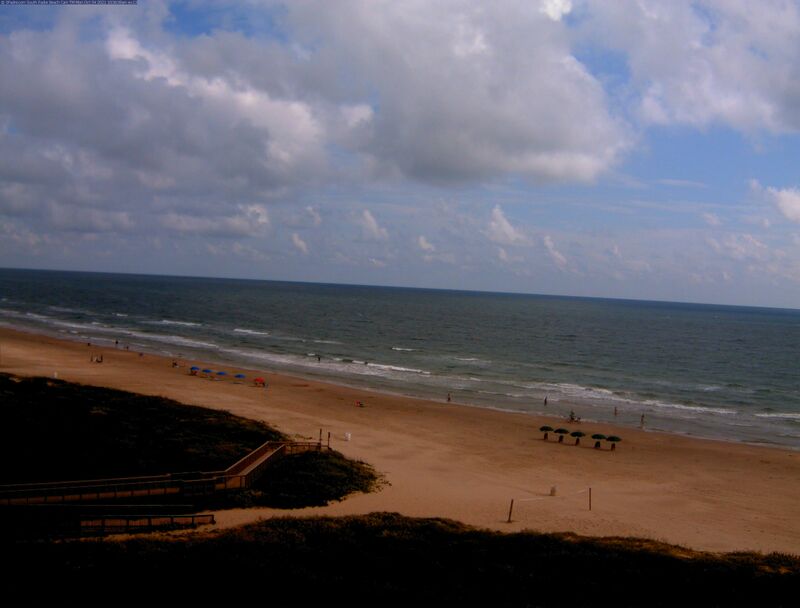 ~ Be sure to check our live South Padre Surf Cam with daily surf report, water temperatures, forecast and more. ~ SPSC competed at the Duke's Oceanfest in Hawaii. ~ South Padre Island hotels, motels, beachfront condos, beach houses, camping, bed and breakfast... lots of places to stay on South Padre Island! We welcome anyone, regardless of age, physical ability or disability! Wildlife you are likely to see during your lesson! 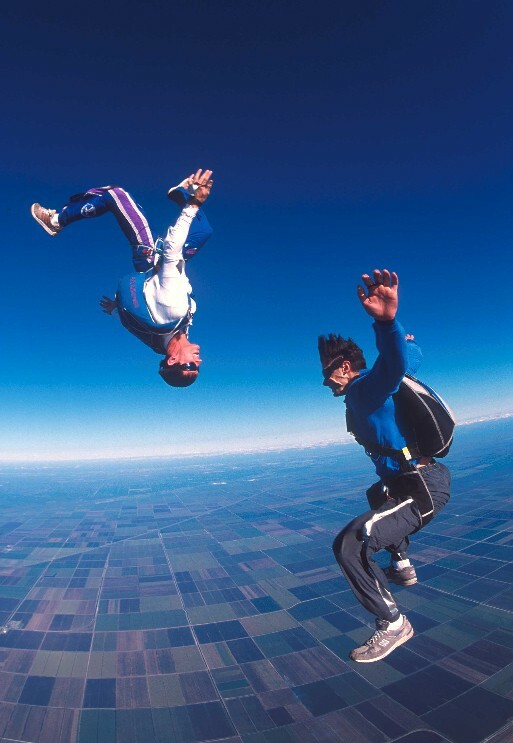 the coolest sport on Earth! You will be surfing in 1 easy lesson, 100% Guaranteed !! Comments from a few of our stoked surfing students! My name is Talisha. My two daughters attended your one hour surf lesson back in August. Afterwards, your husband carried me out alone so I could experience what it was like. I'm filling up with tears as I type this because it was such a special moment for me to be out there in the water. It was something I've never even contemplated being able to do since my spinal cord injury 19 years ago. I just wanted to thank you both for your kindness and patience! My words truly can't express the gratitude I feel for that once in a lifetime opportunity that you both afforded me. I was able to find the pictures you took and I'm so grateful you capture the smile on my face! Thank you for making that trip one I'll never forget. Hey Gene/Rachel: Jonathan and Melissa both had a great time at your surf camp last week. We are going to the Jersey shore next week and they both want to surf with me. Thanks for helping them catch the "stoke". Thank you guys so much for the lesson, it was so awesome that's all our little guys been talking about none stop now! But we are sorry again for being late and calling so many times we just wanted to be there on time and didn't know where to go! I was just wondering when the pictures will be on the site and how we buy them if we can? It was such an awesome time and look forward to doing it again! You guys are so great with everyone and even little kids we loved it! He's been talking about you two since we have left! Great job keep up the good work! We will tell people we know that goes to south padre island to go surfing with you guys! Take care! 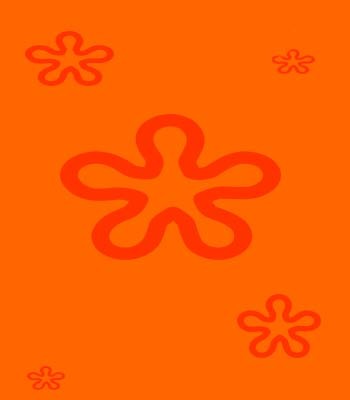 Just wanted to say thanks. It was the GREATEST vacation any of us have ever been on thanks to you and your family. Hope to see you next year! My daughter and wife gave me the best fathers day gift this year. Surf camp for Valeria ( my daughter and I ) with you all. I have wanted to try surfing for a number of years but there always seems to be something else that needs to be done. This year they surprised me on Friday night and told me to be at Isla Blanca early Saturday. Valeria and I had a great time learning to surf. Your camp was very family friendly and Valeria even made a couple of friends out of the water. Thanks for making the day memorable. You all were great. We had a blast learning to surf from you! It's something we have wanted to do for years, and you made it so fun and easy! It was definitely the highlight of our vacation! Can't wait to come surf again! Just wanted to let you know that everyone had a great time with the lessons and renting boards the next day to get some more action!You guys are awesome! Best people we ever met on one of our many family vacations! Stay safe, next time we are there we will be back for more surfing! Thanks! Thank you so much for the awesome surfing lessons the both of you provided for our kids. They had a blast and have not stop talking about the rush of riding there very first wave. We told everyone about the thrill. Our family in San Juan has decided that they are going to take there kids to the island to take lesson from you guys as well. Our niece wants to make a scrap book, can you please forward those cool pictures of them for us to print. Again, thanks a ton! You guys provided a memory that our kids will never forget!!! hi my name is renee and i just took surf lessons with you guys on April 21st and there were 8 of us girls. it was the most amazing time of my life..if i lived in a tropical area i would surf every day until i died! Hey guys, Sara and I took lessons from you last week. What can i say, it made our trip to South Padre Island. Sara and i picked south padre as our vacation spot because we wanted to surf and we liked what we saw on your web-site. It was even better than i thought it would be. Rachel was an unbelievable teacher and i was able to stand up on my FIRST FRICKIN' WAVE. By the end of the two days of surfing, my wife and i were surfing, laughing, and wiping out together. We are already trying to figure out how to move down there so we can surf year around! Anyways, you guys are absolutely amazing and i would tell anyone that if you don't hit up the surf company than you haven't really visited South Pad'. Stele's (8yo.) sister treated him to a marvelous experience that included learning new vocabulary phrases such as: "Surf's-up" and"Hang-ten, dude" . . His instructor was excellent with him and is highly recommended for children! I just wanted to drop you a line and let you know that the surfing lessons was the highlight of my family's vacation!!!!! Everyone enjoyed the surfing, and the few people in our group that didn't participate in the lessons wished that they did after watching the rest of us have so much fun! I do think that you have created monsters in my family!! 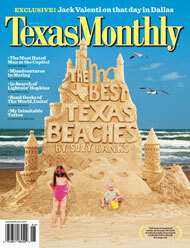 We are already talking about our next vacation to South Padre Island to go surfing. Thank you for your kindness and generosity. You made my family feel welcomed out on the "huge" waves!!!! Thank you again. I wanted to say thank you from the bottom of my heart for one of the most remarkable days I have ever had! Saturday's surf lesson was a gift I decided to give myself for the tough year I have had recently. I had not laughed and giggled or felt as great as I did on Saturday for such a long time. When I finally stood up on that board I felt like: "this is what I should have been doing all my life, this is where I belong, this is what feels right." On that day....it was just one of those times when you feel like you have arrived "HOME". I look forward to more lessons, becoming a better surfer and getting more confident in the water. Gene and Rachel, I just wanted to thank you for the great day at your summer camp. All 5 girls absolutely LOVED surfing. I know if any of these girls get near water with some waves they will be looking for some surf boards to play on from now on! We had such an amazing time learning how to surf from you both last week. The kids are so excited to surf again, that we might try out surf side in about 3 weeks. We just wanted to say thank you again for making our first experience surfing such a positive one. We tried kiteboarding lessons and windsurfing lessons, but surfing is way easier and so much fun! I just wanted to let you know that Jonathan, Elizabeth and I had a wonderful time on New Year's Day 2005 Surf Camp, and some of the best sleep I have had in months! I did go out the next morning to see the bigger waves, and they were impressive now that I know what to look for, and the optical illusion that the outer break plays on your mind. I can’t wait to go again. Now that I know how physically demanding it can be, I will be better prepared next time. You do not know how badly I wanted to go back to the outer break and catch another one out there, if I only had the conditioning that would have allowed me to do so. I think that this summer I will be able to go back to SPI, and in better condition. Please keep me posted on the days of your camps in 2005, and of anything else of interest. It is always a great experience for me to see an operation that runs very smoothly, and with so much commitment from its members. It is truly satisfying to see people who really enjoy what they do and have such a passion for it that they delight in teaching other people, no matter how hard that may be at times. If I didn’t say that much at the camp and all I had was a smile on my face most of the time, it was because I was admiring your passion and commitment to the sport, to safety, and most of all to your students. You guys were very patient and pleasant with everyone, and can really motivate people. These qualities aren’t things found in everyone I meet. My sister and I took surf lessons from y'all. My sister already has experience, but it was my first time to surf. I just wanted to say that I had so much fun and you guys are both awesome teachers. When Gene took us out to the outside break, I was a little nervous at first, but after I got up on my first wave, I felt great. I couldn't wait to catch another one. It was very reassuring to have you right there helping me out, I never felt unsure of myself or scared, I was just having fun. Anyway, thanks for such a great lesson, I can't wait to get back in the water and get better with my dad and sister's help. Now I know that I want to surf the rest of my life. 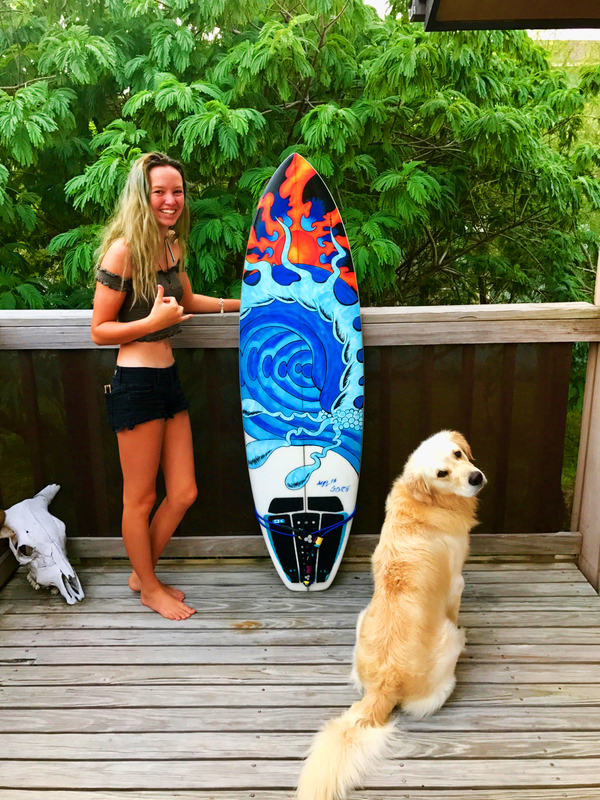 My sister also wants to say thanks for helping her to better her abilities as a surfer. You guys were great, and I feel very fortunate to have shared my first surfing experience with you guys!! I can't wait to come back, thanks again!! Thanks for the great lesson. In just one hour I learned more about surfing and and the environment than I ever have. Ive been practicing popping to my feet at home and Im stoked about getting back in the water soon. Once again thanks alot it was worth every penny. Hope to see you soon. God Bless. I also look forward to seeing you guys out on the water.....hopefully by the time the waves get a little bigger, I have a better idea whats going on.......However, yesterday evening I think I made the transition from riding the wave straight in to actually turning and riding down the green! That was a pretty sweet feeling! 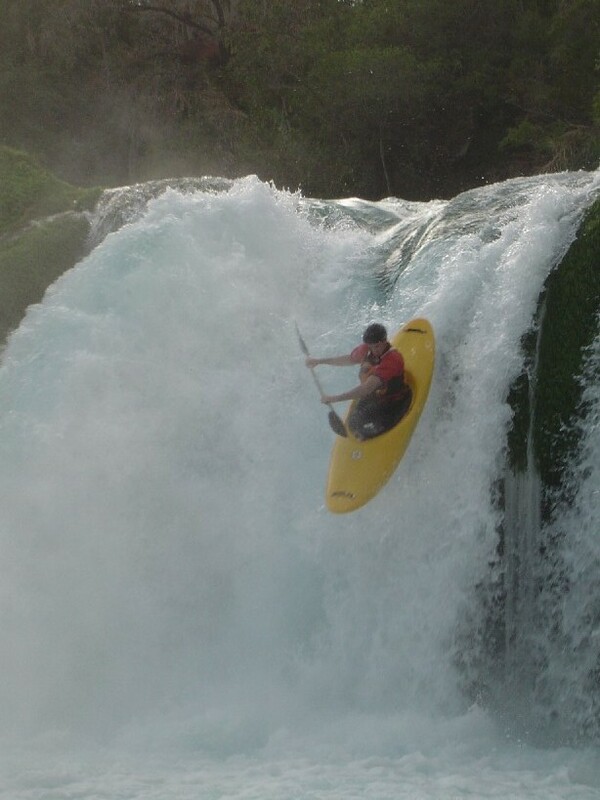 I have had many intense experiences, but riding an ocean wave on a surfboard is hard to beat! Just wanted to say thanks and let you know how much Lauren, Brian and I enjoyed the camp this past Saturday. 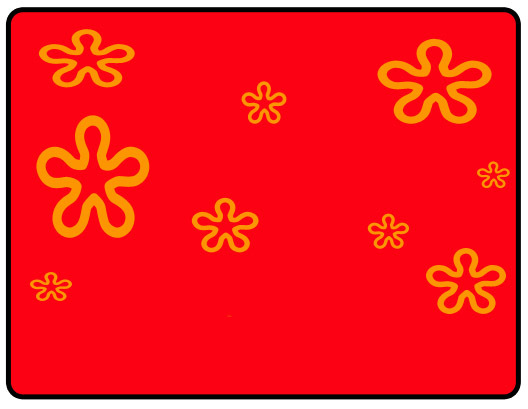 We all learned a lot...you guys were great. We talked about the camp and surfing in general all the way home...which was over a five-hour drive. I was so proud of both kids. Brian's my little athlete, so I wasn't surprised at how well he did. Lauren, however, would usually rather just curl up with a good book. Seeing her riding a wave and truly enjoying herself really reinforced in my mind just how beautiful and special she really is. I wish you could have seen her smile when she proudly showed the photos of her surfing to her boyfriend. He was equally impressed. We really enjoyed meeting and spending time with you guys. I hope to see you again soon. Here's to good surf! Thanksgiving Surf Camp was a great experience for some lucky surfers and their families from Houston and Austin! The day before, a very strong cold front with gale force N wind whipped the Gulf into a frenzy with seas running up to 19 feet. It was looking to be a rough cold surf camp, but, one of the most appealing traits of surfing in Texas... the almost complete unpredictability and ever-changing weather and swell patterns of our Gulf surf... made for a quick decision on the beach Saturday morning - BOCA CHICA IS FIRING! The surf had dropped dramatically overnight, with light NW wind and a fun 3-5' NE swell. After a 45 minute scenic drive around to Boca Chica Beach we were greeted with perfect conditions, offshore winds, sunny skies and air and water temps near 70. Before we even hit the surf, several dolphins got the show started by jumping and surfing on big set waves near the end of the jetty all the way to the inside. After a quick water safety talk and some paddling and surf instruction on the sand, then a few starter waves on the inside, we paddled out together into where the best sets were breaking. The few other surfers that were out hooted each of the students as they paddled into their first waves at Texas best winter surf spot. After a full day of great surf and lots of laughs, we loaded up and met back on the Island for a surf dinner party at Tom and Jerry's to wrap up a very special day of surfing! beach. Thanks again for the awesome day of surfing!! " I just wanted to let you know that Jonathan, Elizabeth and I had a wonderful time on New Year’s Day 2005 Surf Camp, and some of the best sleep I have had in months! I did go out the next morning to see the bigger waves, and they were impressive now that I know what to look for, and the optical illusion that the outer break plays on your mind. I can’t wait to go again. Now that I know how physically demanding it can be, I will be better prepared next time. You do not know how badly I wanted to go back to the outer break and catch another one out there, if I only had the conditioning that would have allowed me to do so. I think that this summer I will be able to go back to SPI, and in better condition. Please keep me posted on the days of your camps in 2005, and of anything else of interest. It is always a great experience for me to see an operation that runs very smoothly, and with so much commitment from its members. It is truly satisfying to see people who really enjoy what they do and have such a passion for it that they delight in teaching other people, no matter how hard that may be at times. If I didn’t say that much at the camp and all I had was a smile on my face most of the time, it was because I was admiring your passion and commitment to the sport, to safety, and most of all to your students. You guys were very patient and pleasant with everyone, and can really motivate people. These qualities aren’t things found in everyone I meet! ps... camp for free on the beach! 25 miles of empty beach north of the Island waiting for you! Flying in? Click here for airport info. WAVE OF THE DAY Surf Video! Thanks again for the wonderful time we had learning to surf in South Padre. You guys have ignited a fire in us all especially Miles for surfing. We really appreciate the wonderful patience and teaching. South Padre Surf Company is shaping the future of Texas Surfing, one stoked lesson at a time! Register now for our exciting, fun SURF CAMPS! calls a (wo)man to put out into nature with only a surfboard buffeting him from the mighty sea"
Learn to surf safely and easily with professional surf instructors and ocean lifeguards Gene and Rachel Gore, owners and instructors of South Padre Surf Company and their children Micah and Melia... we are a surfing family and WE LOVE TO SURF!!! We use only softboards for your safety, hardboards can easily seriously injure you. The most common cause of injury while surfing is from being struck by your own board, usually in the head. Safety rules that we teach, such as the 3 second rule, and about rip currents are absolutely critical for beginners to understand. Most importantly, our unmatched experience and certification as ocean lifeguards, and being trained to the highest level attainable by the world's finest ocean safety professionals in Hawaii means that you and your children are in the safest possible hands with world class ocean lifeguards and surfers, experts in surf rescue training, ocean swimming, and a thorough knowledge of the surf and currents, you and your children couldn't be in better hands! We want you to know that we are a real ma-and-pa business of true professional surfers. We are not a surf shop, and are not surf shop employees, we don't have anything to sell you, we are simply a surfing family and lifelong professional surfing instructors, and wish to share our life-long passion of surfing with you. We have dedicated our entire lives to our profession, this is our full-time year-round job. We are 100% all about surfing! Your safety is our first priority, your enjoyment of surfing and the ocean is our goal! ~ There are approximately 4.5 million reported dog bites annually. ~ 2.9 million people were injured and 42,636 people killed in car crashes in the US in 2005. ~ 33 people in the past 100 years were bitten by sharks (mostly small nips on the feet) on the entire Texas coast. Discovery Channel's Shark Week, the Jaws movie, and the Media's hyping the fear of sharks has caused countless millions to choose never to venture into the ocean, denying them one of the most enjoyable natural pleasures in life. Of course, all oceans contain sharks of various species. Fortunately for us, in Texas there are no large predator sharks such as the Great White or Tiger Shark roaming the shores as in many areas of the world including California and Hawaii. To conclude - sharks are not even the slightest concern here in South Padre Island Texas! 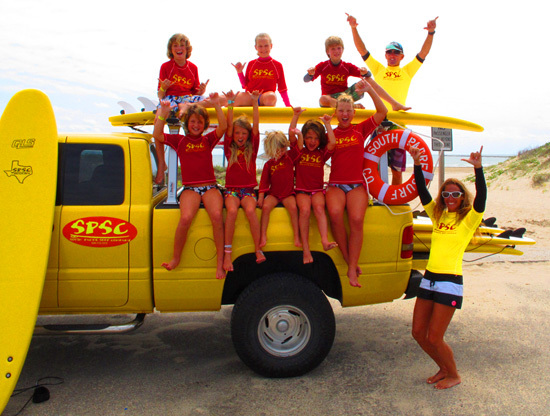 South Padre Surf Company - Texas' Original Surf Camp and Surf School - A Surfing Family!